I asked the lady at Customer Service if she could check the nearest branch. So, she called up Glorietta and they were already sold out as well. It might take them a week before they could restock again. Visprint is in the process of delivering to the other stores, as well as stores outside of Metro Manila. 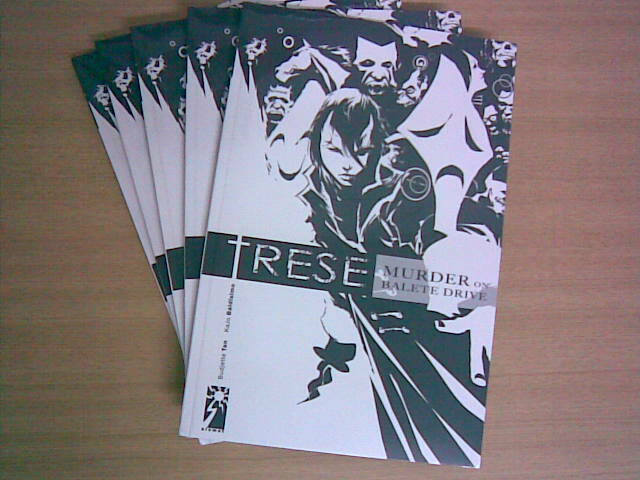 UPDATE (April 29) : Comic Quest and Comic Odyssey already have copies of TRESE. 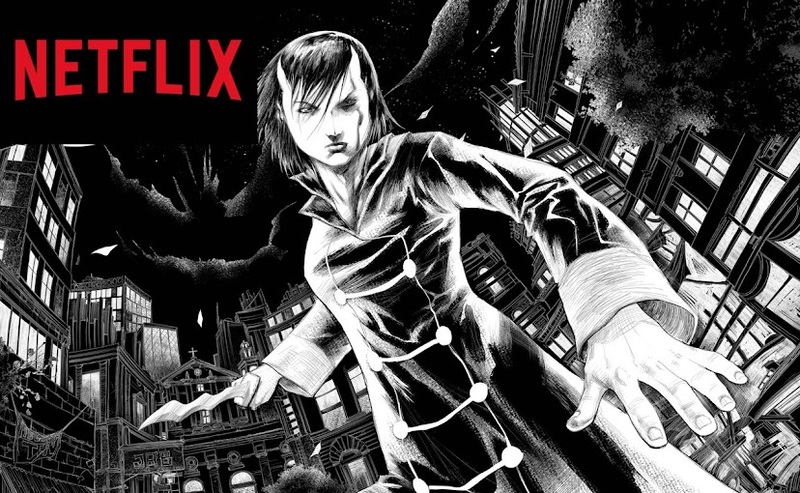 In case they've run out, just tell them to order a copy for you. 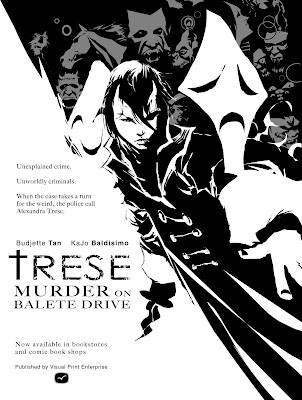 If it will be more convenient for you to go to a branch of National Bookstore, Powerbooks, Fully Booked, and Pandayan Bookstore, then I highly suggest that you call them up / email them and ask them to reserve a copy for you. For status of your order please email us at customerservice@myayala.com or call +63 (02) 8132383 or +1 (650) 9897313 and state your transaction number for our reference. 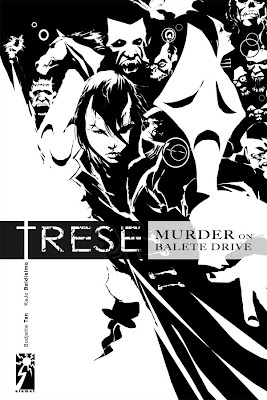 This book compiles the first four cases of Trese, has an introduction from Gerry Alanguilan, an afterword from me-- where I talk about the beginnings and influences of TRESE, a bonus section in the back-- with sketches and character designs from Kajo. 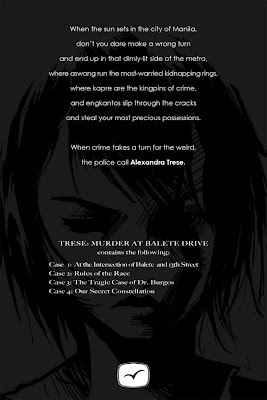 TRESE:MURDER ON BALETE DRIVE by Ferdinand-Benedict G. Tan and Jonathan Baldisimo is licensed under a Creative Commons Attribution-NonCommercial-NoDerivs 3.0 Philippines License.